Twitter can be a great place to be, sharing ideas with like-minded individuals on the opposite side of the globe. But it can be full of abuse, too. That’s where filters come into play, and here’s how they work on the iPhone. Twitter offers a couple of different ways to filter out the noise when using its official iPhone app. Both of them go some way to preventing people from jumping into your life and offering nothing of value—something Twitter has found itself in the news for all too often. 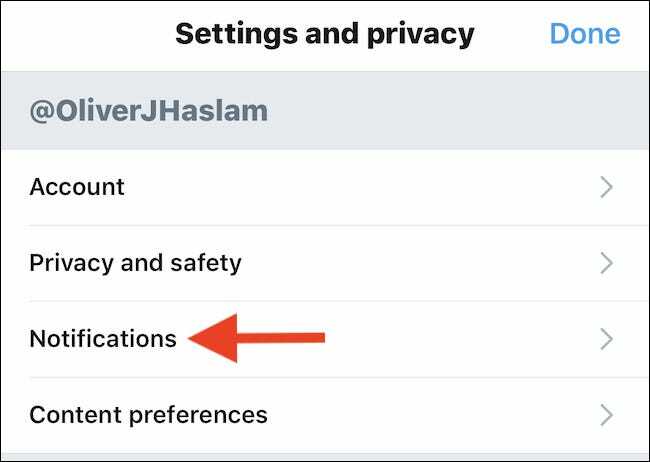 If you’re looking for a way to filter out all the noise but still enjoy everything good that Twitter offers, switching a few toggles might be able to do exactly that. The settings we’re about to cover only apply to the official Twitter app. We used the iPhone app, but the process is the same on Android. 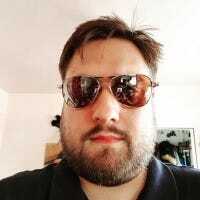 Twitter has taken some important steps towards making its app more usable for those who consider themselves “power users” although it still lacks some features we enjoy elsewhere. Still, Twitter is the app most people are using, so here’s where to find those oh-so-great filters. 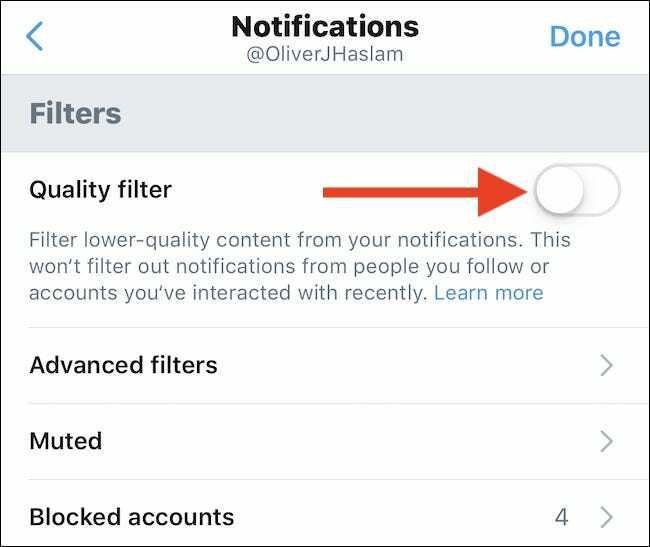 The Twitter Quality Filter will filter out “lower quality content” from the Notifications tab in the Twitter app. Tweets from people you follow or you’ve interacted with will continue to reach you, but if it’s a stranger, you’ll never see it. 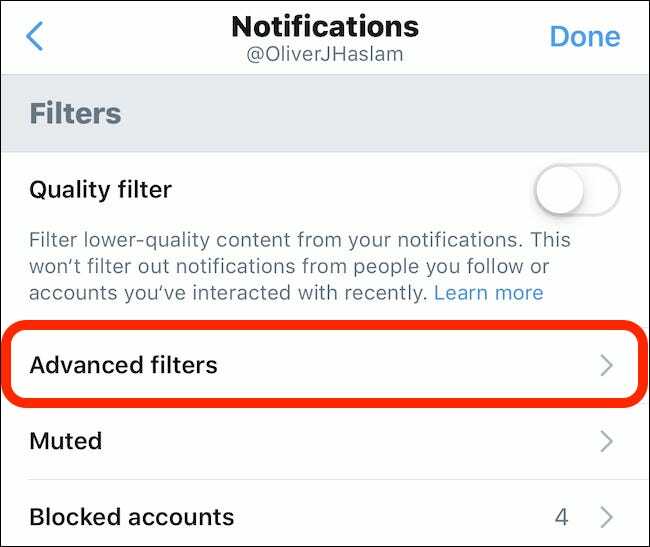 RELATED: What Does Twitter’s “Quality Filter” Do? 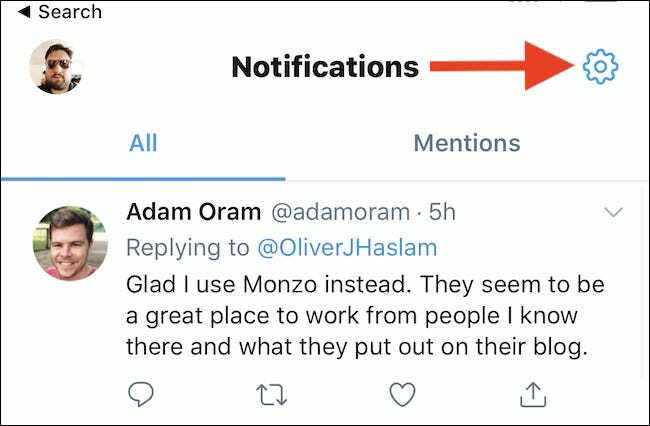 To turn the Quality Filter on, open Twitter and tap the bell at the bottom of the screen to open the Notifications timeline. Then, tap the cog in the top-right corner to access the settings. Finally, toggle “Quality Filter” to the “On” position. If you want more control over your filters, Advanced Filters are where it’s at. 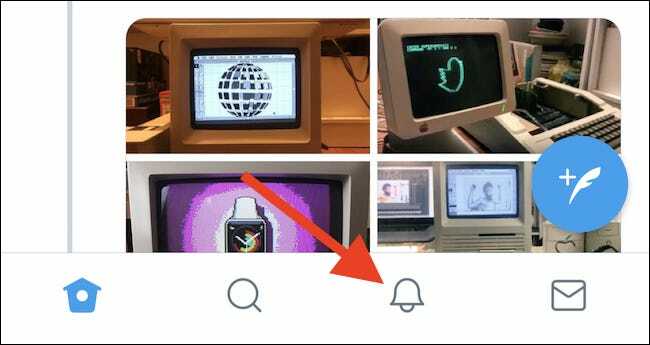 Again, open Twitter and tap the bell icon at the bottom of the screen. Tap the cog at the top-right corner. Next, tap “Advanced filters” to see a list of all the filters that can be activated. 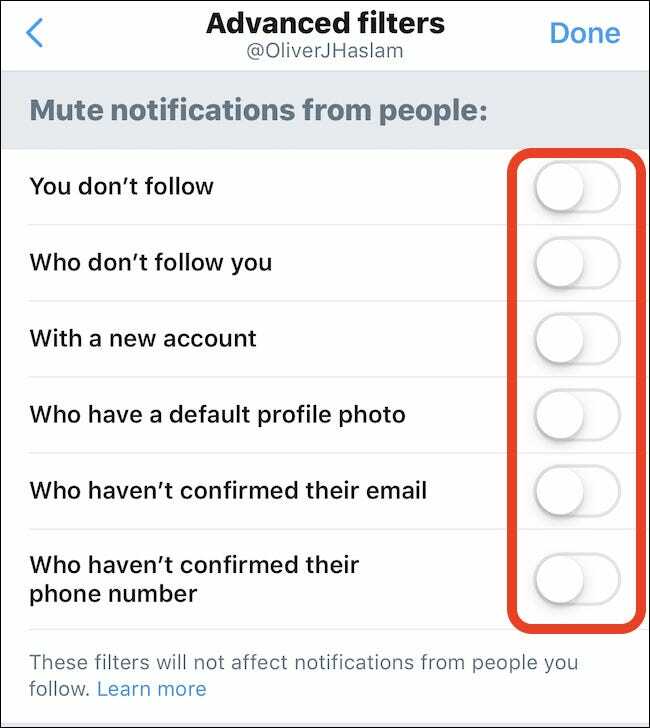 Twitter lets you mute notifications from people you don’t follow, who don’t follow you, with a new account, who have a default profile photo, who haven’t confirmed their email, or who haven’t confirmed their phone number. And that’s all there is to it. Congratulations, you’ve taken back control of who can stick their nose into your day.